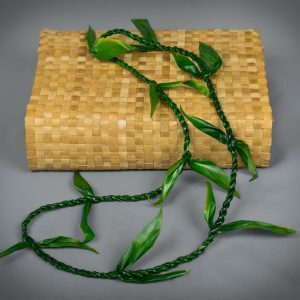 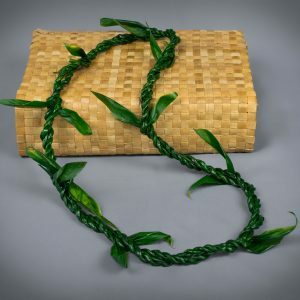 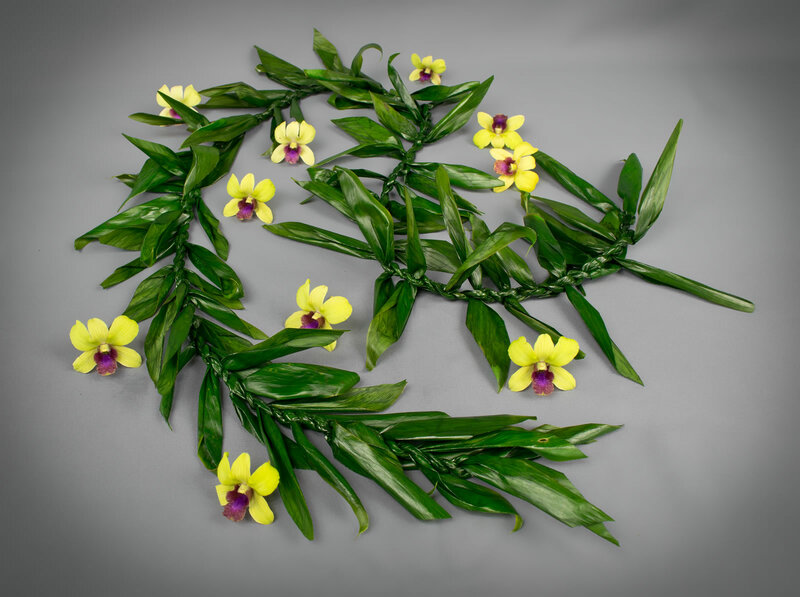 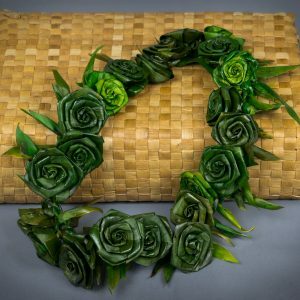 Ti leaf lei in the style of a maile lei. 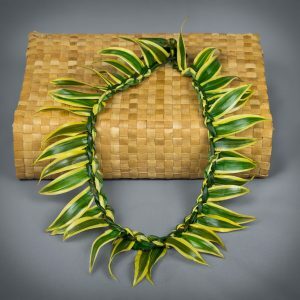 Great for weddings and special celebrations. 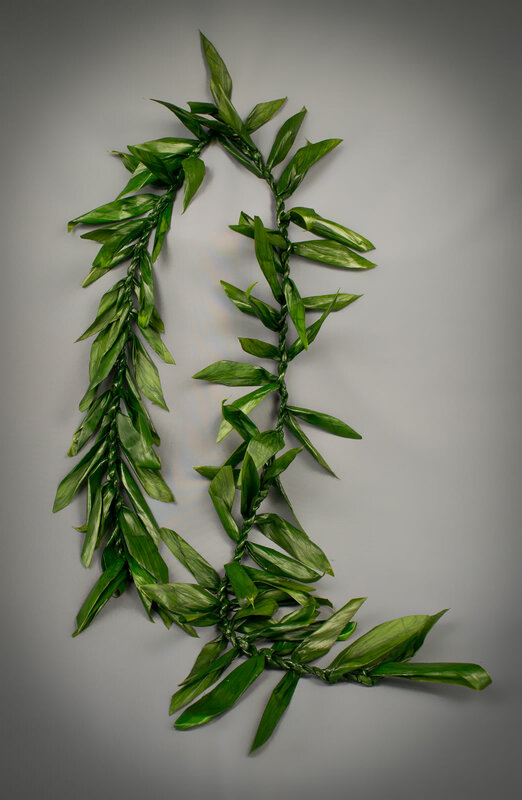 4 feet long.